First, thank you to those of you who read my blog and to the nice comments I have received. It’s fulfilling for me to be a part of MLB Network both on television and on the internet. Keeps me in touch with the game and those of you who love it like I do. Some former players can walk away from it and not miss it. Some leave it and later wish they could get back in in some capacity. I have been fortunate to stay involved in some form as a player, coach, TV analyst and blogger, as well as making appearances for establishments like the Bob Feller Museum and other firms that ask me to appear at baseball functions for the past 55 years. I am looking forward to my fourth season — hard to believe it’s MLB Network’s fourth year already — working with my partner and friend, Bob Costas, on several games, as well as appearing in the studio from time to time. 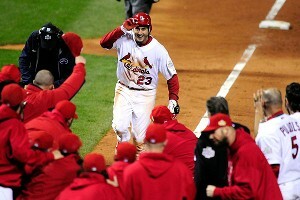 2011 was an exciting year for baseball, climaxed by that memorable final day of the season and then the surprises and drama of Postseason heroics by the Cardinals and David Freese. It was interesting to anticipate and guess who some of the award winners would be. All very deserving and not totally unexpected. I wish with all my heart that Ryan Braun will be cleared of any wrongdoing. He is some player and had been a model of good behavior. I wish Prince Fielder could stay in Milwaukee. Those fans deserve another shot at having a championship team. Probably fantasy on my part. The season, as all seasons do, had its sad moments. 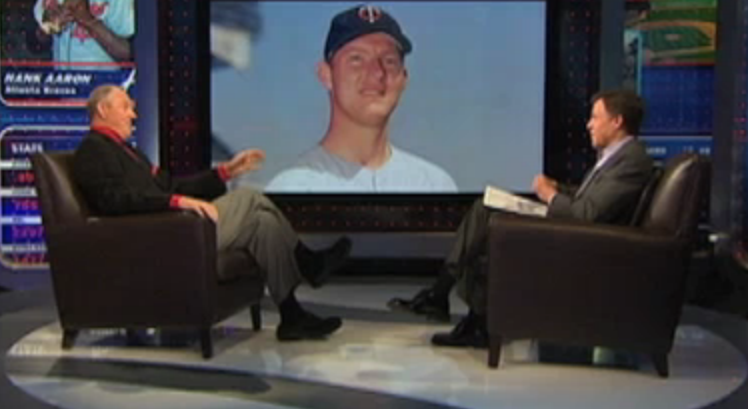 My friend and former teammate , Harmon Killebrew, passed away in May. It was an honor to speak at his memorial service in Minneapolis. Harm is probably the most admired and respected athlete in Midwest sports history, and the comments I got from friends and colleagues about him being the most humble and polite Hall of Famer are true. A gentle giant as a slugger, yet relatively small in physical stature. Just 5’10”, but powerful. Thanks to MLB.com for remembering all of those in the baseball family who passed away in 2011. I wish all of you a safe New Year’s weekend and a healthy, happy 2012. I hope your team has a good year and keeps and holds your interest right to the end. With the wild card (and eventually wild cards, plural) it giving more teams hope, my wish is that the decision-makers reward the division winners with home games, more rest for the pitchers, or whatever it takes to give them a decided advantage in Postseason play. It’s nice for fans to see what teams like the Cardinals did last year, but the most difficult thing to do in sports is to excel over an entire season. You have to overcome injuries, slumps by hitters and pitchers and grueling travel at times to win when you’re not at full strength. A lot of teams could win a World Series these days if they qualified by just having a streak like the Cardinals but you have to perform over six months — not just two weeks — to win a division. It won’t be long until we hear or read those magic words: “Pitchers and catchers report tomorrow!” I hope I can hear it for many more years. Happy New Year. I look forward to reading more great blog posts from you. Thanks for all your wonderful work this past year Jim, I really enjoyed it. I hope that you and your family have a happy and healthy 2012 and I hope to see you at Ft. Myers for the Twins spring training. The Twins pitching staff could use some of your pointers and maybe a few tips on staying in the line-up for the rest of the guys wouldn’t hurt either. Take care. Thank you for all the thoughtful insights into the professional, emotional and personal aspects of the great game of baseball. Your blog is wonderful; a pleasure to read. Please accept my best wishes for the coming year. Happy 2012 Kitty. We miss you calling games for the bombers. I met Mr. Killebrew and got his autograph during the 2008 All Star Fan fest in NYC. Still hoping to meet you one day! Jim, I have the utmost respect for you, and I loved the tenacity you brought to the Cardinals during your days there with Whitey. They play 162. Games late in the year aren’t worth more than games early in the year. The standings are final when all the games are played, right? Now, consider this… StL had 26 blown saves. The problems they had in the bullpen were addressed, the bullpen was improved, and the Cards went into the stretch run with an improved team. Suppose they hadn’t blown 26 saves, Jim. Suppose they had only blown half of them. Add in a dozen or so wins that got away, and the little, weak, lucky wild card team has a 100 win season. The truth is, clubs that are in the race have always tried to improve their roster down the stretch. Sellers and buyers after the break, right? StL got the pieces they needed to plug some holes and improve their team for a stretch run. We’re talking about a team that could have won 100 games with a bullpen – and they had one at the end. The Brewers weren’t better. The Phillies weren’t better. The Rangers weren’t better. It wasn’t just 2 weeks, Jim. They played the whole year, and, by the time they finished 162, they were the best team in baseball. Another service you provided for baseball, and one I remember fondly, was your broadcasts of the College World Series. I haven’t had a TV in over 20 years, so I’m absolutely delighted to have found your blog. The very best to, as you’ve always given the very best to baseball and its fans. I just discovered your blog Jim and Ihope you have continued good health so that you can be there when the Hall of Fame honor finally comes. 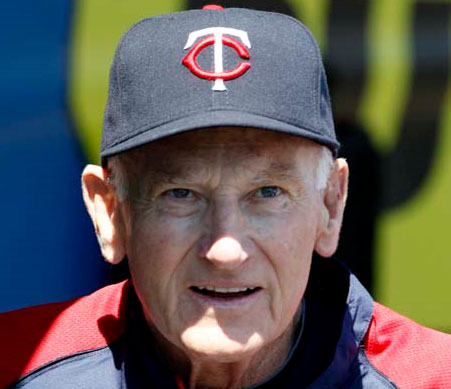 I was happy to read all your blogs, especially your comment about Harmon Killebrew. I’m a retired teacher and a historian and I spent six years researching and writing, “Induction Day at Cooperstown A History of the Baseball Hall of Fame Ceremony” (McFarland-2011). There are some nice reviews on Amazon and baseball people like Roland Hemond, Paul Beeston (Blue Jays), Ed Stack (Hall of Fame) and Brian Kenny from MLB-TV have told me that they like the book. I trace the history from 1936 through 2010. 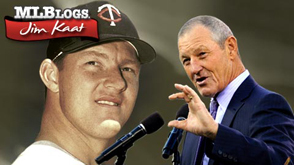 I only met Harmon Killebrew briefly but I would like to share with you a personal story that shows the person he was. I didn’t attend my first induction until 2004 (now have attended eight),and Harmon spoke on behalf of all the Hall of Famers and he told that same story he told during his own induction in 1984.This was the story of how his father said to his mother after she scolded him and his brother(s) for playing ball on the front lawn. His father said, “We’re not raising grass here, we’re raising boys.” My wife Pat could identify with that story from playing ball on her backyard with her brothers, so when she saw Harmon on Main Street later where he was signing autographs, she told him how much she appreciated his story. He got up from behind the table and gave her a hug! We saw each other briefly the summer of 2010 where he was signing autographs again, and when I mentioned my book, he wanted to know when the book was coming out! Unfortunately, he died when the book came out. I would appreciate it if you have any contact with his family to mention my book because that “lawn story and his kindness toward my wife is in the book. I appreciate the opportunity to blog with you.